Prepare the sorbetto as usual. 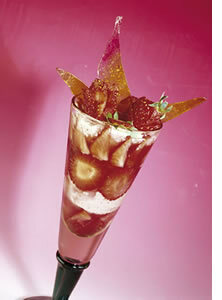 Pour some Prosecco wine in the botrtom of a glass or a cup with some strawberries. Continue with sorbetto, then add other straberries and some more sorbetto. 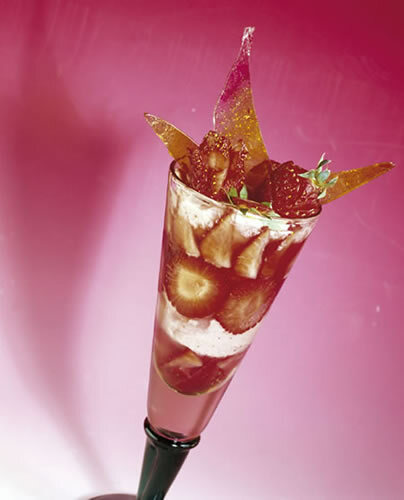 Decorate with two strawberries cut as roses and pieces of cast sugar.